I am a 61 year old, retired Firefighter/Captain. I've been riding motorcycles for over 40 years. Have owned over 50 bikes of all makes and types. Diagnosed with cancer 4 years ago and given 3 months to live. Still here and still riding. Although I did step down from bigger heavier bikes to a 2013 KLR 650. I love that bike and thought it would be my last. But, I started riding it off road, and found that although the bike is capable, I am not. 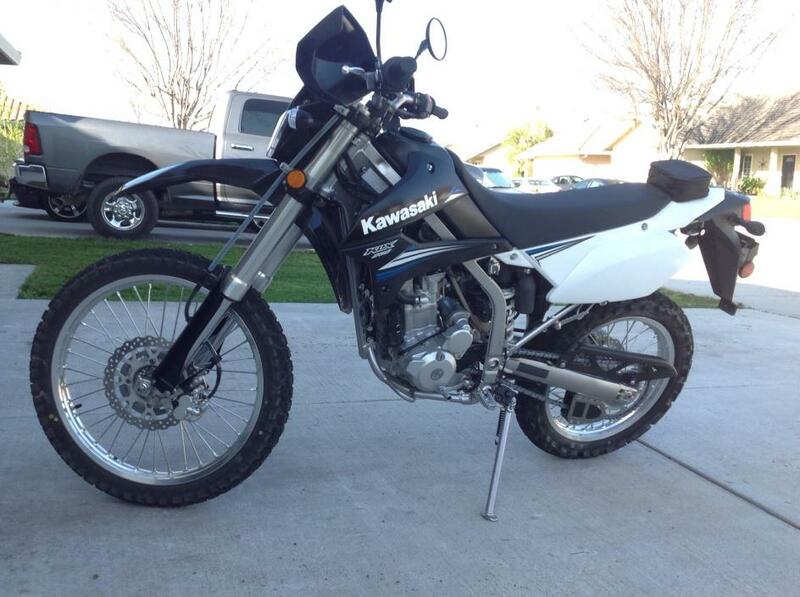 I can't pick it up in a lay over, and it is a handful when riding anything more than a groomed fire road. So, I added a 2014 KLX 250s to the garage. I now have what I consider to be the best of both worlds. The KLR for all things on road. The KLX for all things off. I also have a 2013 Corvette Grand Sport, 4LT, and a 2014 Scion FRS, for the wife and auto cross. We are trying to enjoy, to the fullest, the time we have left together. My wife is the most wonderful woman on earth. She is by my side for everything I face, and is fully behind me riding and enjoying these bikes as much as possible. I am truly blessed. Nice to meet you all. Welcome to KF and congrats on the Riding Experiences. Welcome Mikengrace. Thanks for sharing your story. The KLR650 and KLX250 are very complimentary. Welcome to the forum. Feel free to post pictures of any or all of your toys. 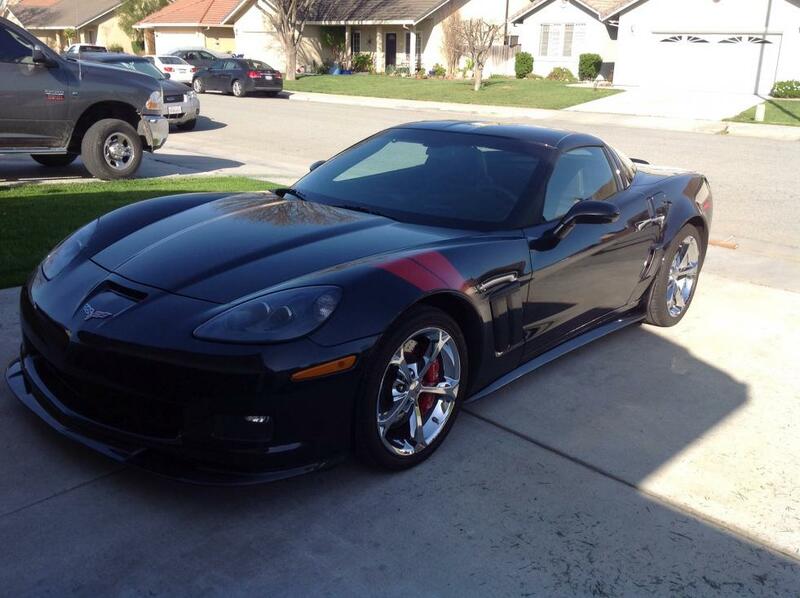 I own an '03 Z06 and can appreciate any pictures of Corvettes. It sounds to me like your wife and your toys are keeping you young and I hope you guys have another 40 years together. Thanks to all who have responded. I hope to become a contributing member here on the forum. It seems like a great group. Welcome sir, love the intro and your zest for life! Your garage sounds pretty awesome! My uncle is an engineer at GM and helped design the drivetrain for Corvette. Looking to hearing more from you. Hey Mike, welcome to the forums. Sounds like you have had a lot of fun over the years with the different bikes, and to have a wife that supports you in all things, well that's better than anything in this world. I have to ask, in all those bikes did you ever own a Hodaka? This is what I had as a kid in 1979. I'm not great at posting pictures, but, I thought I'd try. You are right. My wife not only keeps me young, she literally has kept me alive. She is amazing.